For those who suffer from anxiety disorders even the most mundane daily activities can be miserable, and for the spouses of these anxiety sufferers it is painful to see their loved ones dealing with the headaches, mood swings, and irritability that come with anxiety attacks. There are ways to help your sweetie through these times so that they are able to relax and navigate through these hateful bouts of anxiety. Anxiety can often be alleviated by some quiet, gentle TLC. Just ten minutes or so of cuddling can significantly reduce the symptoms of anxiety and set the tone for a much more pleasant day or night for both of you! Many times anxiety is the result of feeling overwhelmed by housework, chores, or projects that need attention. If you suspect this may be the culprit, do some impromptu housecleaning, laundry, repairwork that has been neglected, wash the dinner dishes, or consider hiring a bit of extra help to keep things up to par if both of you are busy on a daily basis. Some of these things may seem small and insignificant, but to the person who has to deal with them day in and day out, especially doing so alone, they are triggers for an anxiety attack. There’s nothing quite like an impromptu massage to make someone feel loved and pampered. Run your spouse a nice warm bubble bath and follow it with a slow, relaxing massage. Make sure to have some good massage oil on hand in your sweetie’s favorite scent. Ask about aromatherapy oils wherever you purchase the massage oil. These can work wonders when it comes to relaxation and stress relief. 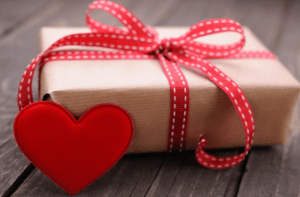 A nice bouquet of flowers or a bottle of bubble bath for her, a box of gourmet cookies or a new CD for him; a gift doesn’t have to be extravagant or come on a special occasion to make someone’s week. Letting your spouse know that you are thinking of them all the time can make all the difference when it comes to relieving anxiety. Love makes the world go round. Everyone wants to feel appreciated, and a small gift mid-week lets your spouse know you are thinking of them and want to make them happy. Take a full weekend and run away to a nice hotel, turn off your cell phones, order room service, swim, relax in the hot tub, talk, enjoy each other’s company away from the world. A vacation doesn’t have to be far away from home – it just has to feel like it is! Learn to recognize the warning signs of an impending anxiety attack and have a plan of action in place to derail it before it can get it’s claws into your loved one. With just a little bit of attention and forethought you can help to relieve the nightmare of anxiety attacks for the one you love.